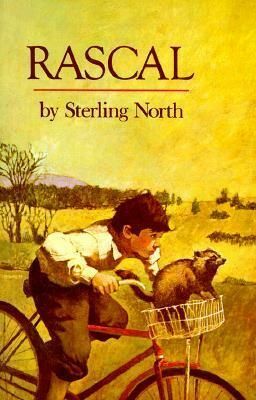 Rascal by Sterling North (1964 Newbery Honor Book) was one of my selections for the Newbery Through the Decades Challenge – 1960s. We are a family who loves a good “boy and his dog” story. Or in this case, a good “boy and his racoon” story. I had a feeling that Rascal would be a treasured read aloud. Sterling is a young boy living in Wisconsin during World War I. It is just Sterling and his father living at home. His mother has been deceased for several years, siblings are in various stages of life including his brother, Herschel, who is fighting in the war. With a love for animals and nature, Sterling has a habit of making wild animals his pets. So while in the woods one day with a friend, Sterling finds a baby racoon and brings him home. June was the month! School was out, cherries were ripe, and all the boys and some of the girls went barefoot. Boys had many extra advantages such as swimming naked and wandering alone along the streams and rivers, casting for bass among the water lilies. Girls had to wear swimming suits and come in earlier from our evening games of prisoner’s base and run-sheep-run. I was very thankful that I was a boy. While this book shares many humorous stories about Rascal, it is much more than that. We see a glimpse of a time when boys were expected to be in the great outdoors; enjoying nature, hunting, working, exploring, and building. We see a town that truly was a community despite the good and the bad. We see a bit of history from the eyes of a young boy. The fact that Herschel was still alive and unhurt, and that Rascal and I still had one afternoon before I must start building his cage, raised my spirits considerably. I made jelly sandwiches for the two of us, and we climbed the cleats I had nailed to the oak tree, taking with us our picnic lunch and a copy of Westward Ho. “Do as you please, my little racoon. It’s your life,” I told him. If you haven’t read Rascal, you are missing out on a treasure. 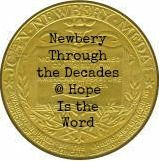 This entry was posted in Book Reviews, Books, Homeschool, Read alouds and tagged Books, Homeschool, literature, nature, reading by sweetie. Bookmark the permalink. We started this years ago and never finished it! We read his Hurry, Spring! a couple of year ago and I thought it was neat. I will have to try Rascal again for my boys. 🙂 Thanks!